Wandersong is ranked in the 92nd percentile of games scored on OpenCritic. Play Wandersong. You deserve to play such a wonderful game about music, friendship, and how heroism can be found in any good deed - no matter how small. Share this game with other people, if you can. Play together on a couch, passing a controller around and commenting on the story together. Wear your fluffiest pyjamas and make chamomile tea. Bring tissues as well. Wandersong is a modern classic that is only held back from masterpiece status by some small but significant shortcomings. Still, few games this generation have compelled me to gush like this. 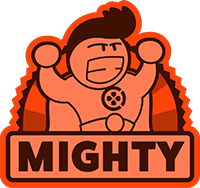 Each of the game's core elements — story, characters, gameplay, soundtrack, and visuals — combine with near perfect execution and the result is a game that you just have to play. Wandersong is a beautiful and unforgettable journey full of good lessons for anyone who has doubts about their dreams and goals. Despite its lack of challenge, it's a title that deserves to be enjoyed by everyone, regardless of age, thanks to its engaging story and diversified gameplay. Given its focus on unity, it's not surprising that the game always returns to ideas of harmony. It's a game about music, after all, so the motif fits. And while playing Wandersong, I also felt like harmony was that much closer, that the greatest evils were defeatable if only we could rally together. And that's a powerful thing for a game about a humble lil bard. Wandersong is an unforgettable adventure and one of the most interesting indie game of this year. Bow down to the little bard! Wandersong is easily the most wholesome, heartwarming game about friendship you’ll play all year. The game doesn't hold the player's hand through every step of the way, yet, still many of the mechanics are generous to the point where a very wide range of players will find Wandersong accessible and fun. This is a great game that was hard for me to put down and shouldn't have troubles finding a dedicated playerbase. The music is a delight to listen to, the narrative is very witty and humorous (as well as serious when it has to be), and the visuals are amazing eye candy with all the colours and visual effects used. The controls can be a little sensitive in some places and the DS4 speaker needs to be adjusted outside of the game, but overall I would have been extremely proud if I was one of the lucky ones who backed this project initially on Kickstarter. Wandersong is a joyful and innovative game that should probably be sold as a cure for winter blues. I think about the supposed difference between “sentiment” and “sentimentality” when comparing this game to other story-driven titles: sentiment produces real, personal, and genuine emotions, while sentimentality is often a cheap, telegraphed way to provoke reactions by spelling everything out, usually in a hamfisted and highly-charged way (*cough*David Cage*cough*). Wandersong, with all of its mysticism, with its charming simplicity in both graphics and gameplay, expresses real sentiment. I very nearly missed this game, and I certainly don't want you to miss it. Wandersong is the most emotionally satisfying game I've played in 2018. It's a rollercoaster ride through the spectrum of feelings, all wrapped up in a lovingly crafted construction paper world. I didn't even know this game existed a month ago. Now, it's one I'll never forget. From its grin-inducing highs to its tear-jerking lows, Wandersong is a magical and captivating game. It's undoubtedly one of the best indie games out in 2018. BOTTOM LINE Wandersong is an excellent game featuring great music, stunning visuals, and a story which grabs your attention from beginning to end. I listened to Wandersong's soundtrack while writing this review, and I've been happily jiggling my leg throughout. 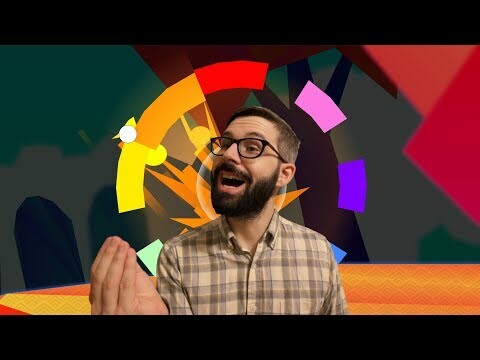 Wandersong is definitely worth checking out on the basis of how different and unique it is. From the fun, new interaction method to the hand-crafted art style, this is something completely fresh. Wandersong takes an innovative spin on the adventure genre by incorporating a quirky musical bard on a journey to save the world. Wandersong is a charming, heart-filled musical-adventure. 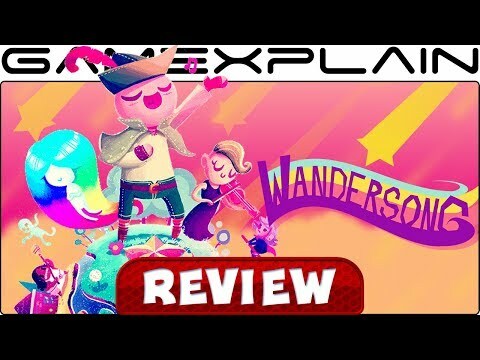 For fans of the puzzle-adventure genre, there is a lot to be had here but where Wandersong really shines, lies in its spirited, charismatic characters and unique story line. 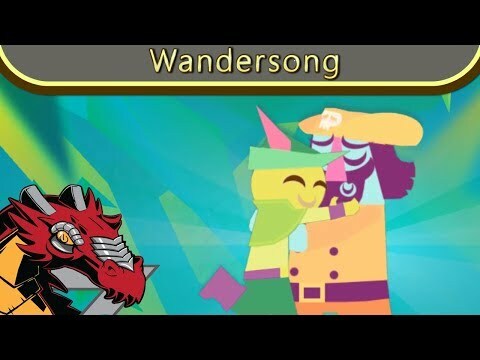 Wandersong isn't afraid to make fun of the usual heroic tropes found in many games on the market, but still finds a way to make the player stay connected to what is going on. Come for the adventure, but stay for a song. Wandersong's memorable adventure and heartwarming tale make for one fantastic musical journey. Wandersong is the tale of a lowly bard on a quest to find the legendary Earthsong. Surrounded by a universe of the edge of destruction, only the seven Overseers can help Wandersong's nameless champion put together the pieces of this magical arrangement and use it to save the world. Warm up your voice and take a trip into a charming adventure with our Wandersong review. Wandersong is by no means perfect, but it is very different. Charm oozes out of every note and motion you make. Despite the technical glitches it is consistently winning and moving, with a lack of aggression and a genuine optimism that beams through like nothing else. It really will bring a smile to your face. Wandersong is a charming-as-heck musical adventure that manages to live up to both parts of its name. Get out your guitar and strum along to this one, because Wandersong brings a fun, meaningful story fully grounded in a colorful world that's worth saving. Wandersong is a colorful musical platformer which do not bet everyhting on its technical part, but delivers a cheerful fable along its ten hour run. However, its non-existant challenge will reserve it to short sessions only. But thanks to its cheerful cast of well-written characters, Wandersong let the palyer enjoy nothing but good feelings, thansk to the ever so-satisfying power of music.